Come join us for the last Sunnyvale Garden Club meeting of the season on Tuesday, May 10th, 6:00 p.m. The meeting will be held at the Sunnyvale Community Center, 417 E. Tripp Road, Sunnyvale, Texas. 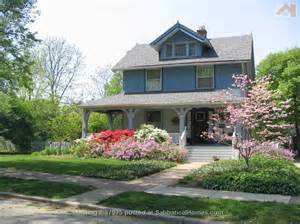 Program – Curb Appeal – Sell your home faster and be the envy of your neighborhood. Program Speaker: Brad Sandy – Master Gardeners Speaker Bureau since 2001 – Since 2008 he has been the spring and fall presenter at the Dallas Arboretum. Hostesses: Kara Ranta (Lead), Kathy Dalby, Nancy Griffin, Joyce Taylor and Barbara Kline. Reminder: Our membership drive ends soon, so why not bring a friend or a family member who is interested in plants, gardening, eating delicious homemade food … and socializing with wonderful people? Our meetings are a great place for people to meet new friends and get involved in community activities! Homemade cookies for sale also! Proceeds will help pay for SGC’s many landscaping projects. Christmas trees/decorations, toys, and more!